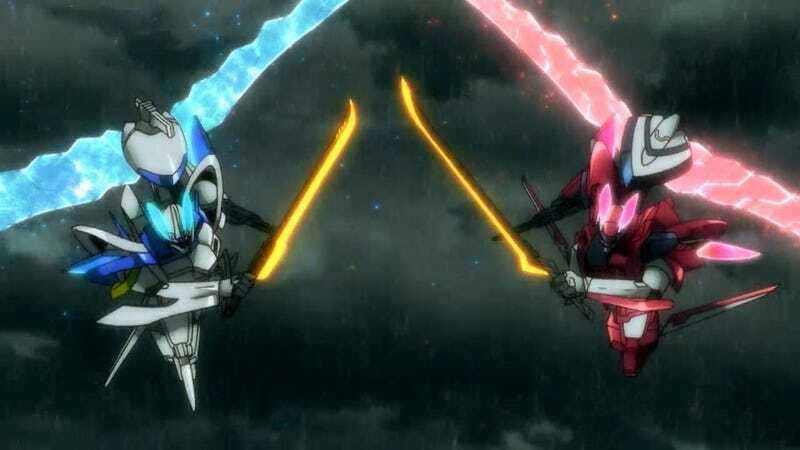 The surprisingly great winter mecha anime Buddy Complex will return this fall with a two-part television special called Buddy Complex Finale: In The Future When We Return To Those Skies. The title would seem to imply that this the final chapter for the series. I actually think this is the best decision they could make. A whole second season would be pushing it, but leaving the series as it is just wouldn't give us the closure we need. Here's the announcement trailer, though it, like pretty much every PV, is not subbed. You can find all my posts on Dex's Corner.